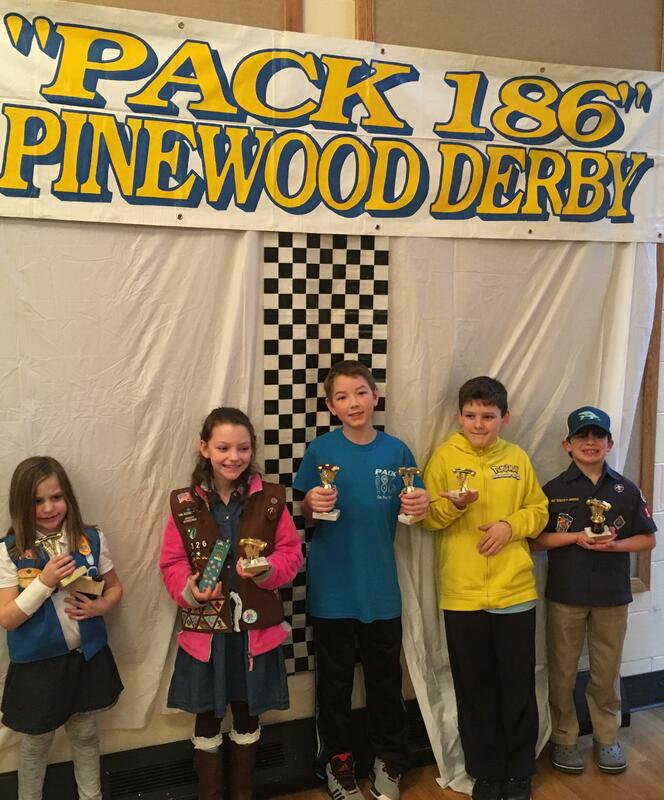 History was made this past weekend in Lexington at the Pinewood Derby track. The traditional scouting event, featuring whittled wood cars, had some new entrants this go round. For the first time in recent memory, the Pinewood Derby held this year at Southern Hills Methodist Church, was not an all-male competition. 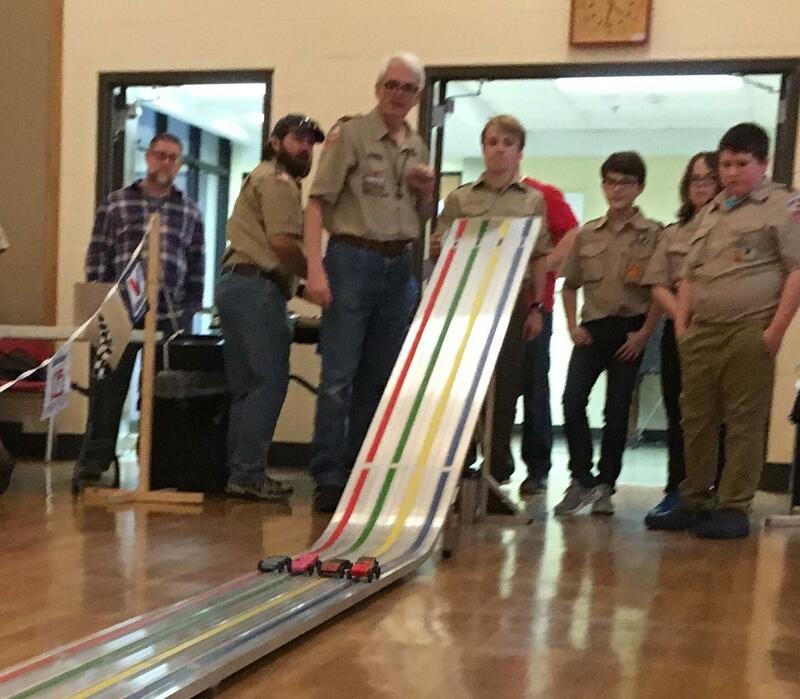 The Friday and Saturday Pinewood Derby included 35 cub scouts and 26 girl scouts. Heats were run on the four lane race track both days as the brightly colored wood cars whizzed past a timer. The first Pinewood Derby was staged in 1953 in Manhattan Beach, California as an alternative to soap box derby races. According to the Boy Scout web page, since that year, scouts and their adult mentors have fashioned close to 100 million Pinewood Derby cars. They race down an inclined ramp with wood strips down the center to guide the cars. Tori Whelan, who’s nine, ended the competition as one of the top three girl scout winners. Afterward she was quizzed about taking on the boys and, with a little prodding, admitted she might have a little extra incentive next year. “It was fun…think you will beat them next year more? …..I don’t know (laugh)…That would be good wouldn’t it?....yes” Whelan said to reporter Stu Johnson’s questions. The rules for the Pinewood Derby set out specifics for the wooden car including a five ounce weight limit. Fathers, mothers, and other adults have been known to assist in car construction. Nine -year -old Talon Logan, the overall winner, did some whittling on his car. “I helped whittle it. I did the bottom part and my grandpa did the top,” said Logan. When asked about including the girl scouts this year, Talon first sounded off a bit, but then, upon reflection, realized it “cuts” both ways. “Boys rule, girls drool. What did you say? Boys rule, girls drool. It’s a saying. You can put it either way girls rule, boys drool. Boys rule, girls drool,” said Logan. Another one of the top three winners in the Cub Scout class was Douglas Janes, also nine years old. He had a little different view about taking on the girls this year in the Pinewood Derby. “I guess it was ok, since I won two trophies. I like it because we get to win more than one trophy,” noted Janes. Tracy Ashcraft is the Girl Scout leader in troop 842. She felt like the inaugural event with dueling genders went well. “I think it’s healthy competition and it’s something the girls wouldn’t be exposed to normally, so if we could bring the girls in and give a different aspect and makes the boys more excited and the girls were extremely excited to be here,” said Ashcraft. It’s not unheard of for girls to compete in Pinewood Derbys against each other. The first cub scout-girl scout Pinewood Derby in Lexington may only be the first of a new tradition.